Hair Loss… Myth or Fact? 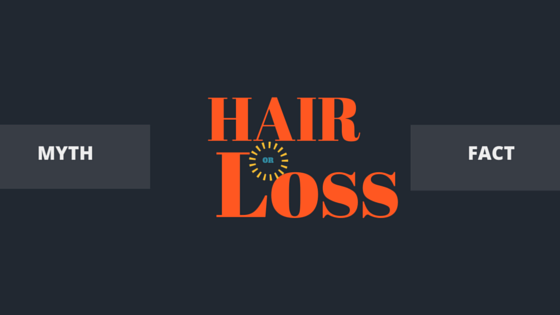 HomeUncategorizedHair Loss… Myth or Fact? One in every 10 person would experience some kind of hair loss in their lifetime. It could be as little as increased number of falling hair which by the way is normal. Everyone loses between 50-150 hairs on an average daily in the natural state of hair from brushing, itching the scalp, combing, during shampoo & conditioning. This is so because those hairs have completed their life cycles and would be replaced by another. Anagen cycle: This is the growing phase which carries on for about 1000days. Catagen cycle: This is the regression phase or the end of the anagen cycle. It lasts between 10days (2-3weeks). Telogen cycle: This is the resting phase where a new hair starts to sprout as the old hair is resting and gradually being detached. Lasts for about 100days. Exogen cycle: This is the shedding phase. Here, the hair has completed its life cycle and detaches easily. All the hairs on a human head are at different growth stages, some are entering the Anagen cycle, some are leaving to the Catagen cycle, and others are going to the Telogen or Exogen cycle. Hair loss hit home a few months back when I realised the hair around my crown area was getting really brittle which eventually deteriorated to complete patchiness around the area. Visualise a head with a crown of not more than ½ inch hair as the longest bordered by hair 10-12’’ in length around the temple, sides and nape…This can be very traumatising! At my diagnosis, the overall factors were narrowed down to: stress and birth control. It must be noted that a hair loss diagnosis should be done by a professional. A dermatologist. 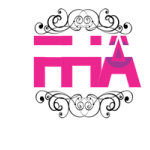 Feel free to share this, follow @flairhairacademy and write me about your hair loss stories. I’d love to hear yours. *Live purposefully*Always see the glass as half full *Leave your footprints in the sands of time.